Brazier not done shocking the track world / May. 27, 2015 / RunMichigan Top News RunMichigan.com / Michigan Top Running News, Calendar, Results, Videos, Photos and more! 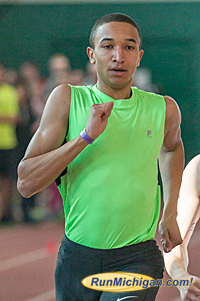 As a junior at (Grand Rapids) Kenowa Hills High School, Brazier won the 800m at his regional in 1:52.74. That made him a strong candidate for the win at the Michigan Lower Peninsula D1 Finals, but no shoe-in (Michigan does not have a true “state” meet, as the Upper Peninsula has insisted on holding its own championship ever since 1943). However, he ran from the back at the championship, passing 400 in 55.5 and speeding up to finish with a 54.7 last lap. His time of 1:50.24 set a meet record. A few weeks later, he again used negative splits to stun the competition and win his first national title. Running 54.85/53.76, he clocked an all-time state record of 1:48.61. Could the 6-1 Brazier with his amazingly long stride produce an even better senior year? Apparently so. He started off by showing the world that he has a fast mile in him. In the Gazelle Sports/adidas Elite Mile on Grand Valley’s big indoor track at the end of January, he clocked 4:09.32 to finish second behind Grant Fisher. His best before the race was 4:15.25 for 1600m, worth 4:16.74 for the full mile. On May 2 at Cedar Springs, the Texas A&M recruit ran 4:07.15 for 1600 and came back with a 1:51.58. 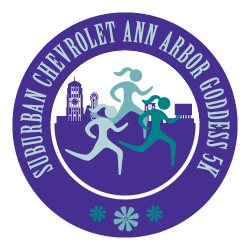 No prep runner in Michigan history has ever run a better one-day double. Then at the OK Black Conference meet at Zeeland on May 7, Brazier showed what kind of speed he had. After winning the 1600 in 4:28.89, the 400 in 47.96 and the 800 in 1:56.74, he waited in the exchange zone to run the anchor of the 4 x 400. Previously, he had anchored his school’s relay with splits that dipped into the 47s—fantastic for a middle-distance guy. But in this race, he found himself behind and he had to dig deep. He clocked 45.92 for his leg, a time worthy of some of the top collegians in the country. “We were about 40-meters behind in that race,” he explains. A word on relay splits: they tend to be faster than an athlete’s best over an open 400m, because for everyone but the lead-off runner, they are taken with a running start. Also, many reported split times are horribly inaccurate. To get it right, the timer must clock the baton as it passes the finish line, so that every split is for exactly 400m. The splits noted for Brazier are FAT splits—completely accurate—thanks to Michiana Timing. At the regional meet in Grand Haven, Brazier opted for the 800m again, but this time he really stunned. A few hours after running about a 1:52 on the 4x8 relay anchor, he went out in 55.2, a pinch faster than what his coach wanted, and he let loose on the second lap with a 52.9. He hit the finish line in 1:48.07, a time only eight U.S. high schoolers have ever bettered. “That time was never really in my mind,” admits the soft-spoken athlete. A word on negative splits: for longer distance races, many world records have been set running the second half faster than the first. However, in the 800, that‘s not the case. Time and again, studies have showed that a faster first lap leads to the fastest potential time. That Brazier can buck that trend shows he has tremendous strength—miler strength. It also shows he hasn’t neared his potential top speed in the two-lapper yet. However, that kind of pacing can lead to problems at a meet like the Michigan D1 Finals. In the Olympics, the NCAA, and virtually all other elite 800m races, officials place between eight and ten runners on the starting line. At our state championships, the athletes are split into two sections, and the faster one will be packed with 16 athletes. They run in alleys for the first 300m+, but often face traffic issues when the leaders cut in, creating problems for any athlete who likes to run from behind, as Brazier does. 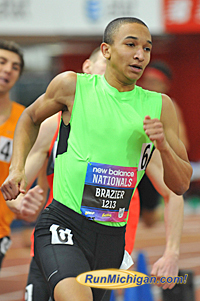 Brazier knows he has to get out fast this year. So he practiced it at the MetroHealth Michiana Scholarship meet last Tuesday. Despite cold and windy weather, he still covered his first lap in 54.57. Then he finished far faster than anybody expected, a last lap of 53.82 giving him a stunning 1:48.39. “I was just trying to have fun,” says Brazier. “My coach didn't want me to go that fast. He didn't want me getting hurt, because it was cold and windy. But I don't know, I just felt good again.” That performance would have placed Brazier third in the recent Big 10 Championships. As for the D1 finals this weekend, Brazier says, “I thought I would go out fast. I have to. That's what my coaches have been telling me, too. I have to go out in like a 53-flat. That would be the plan, just go out faster, so I don't get stuck behind people.” The real target? Brazier is open about wanting to break his state record again. What fans won’t be seeing at Rockford this weekend is a match-up between the nation’s top half-miler, Brazier, and the nation’s top miler, Grant Fisher. “I was definitely contemplating it, but I just want to put down another good 800 time.” In the end, he opted to run the relay for his teammates. That doesn’t mean he’s given up on the longer distance. After that, though, Brazier is all 800 for the rest of the season. “This year I'm going to do a few more races past New Balance Nationals. It just going to be a longer season for me.” He may have to decide between the Dream Mile and the Midwest Meet of Champions, which share the same date. 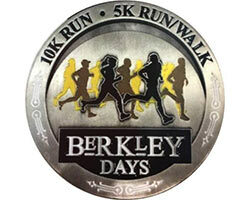 The next weekend comes another decision, as the Brooks PR Invitational conflicts with New Balance. Either way, a week later he will be in Eugene for the USATF meet. 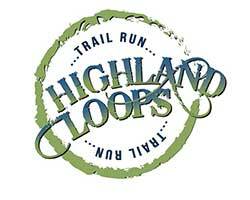 RunMichigan.com is happy to welcome Jeff Hollobaugh as a contributing writer. 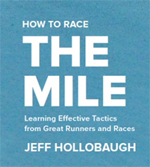 Jeff has also recently authored a new book titled "How to Race the Mile". Click Here to find out more about Jeff's new book. 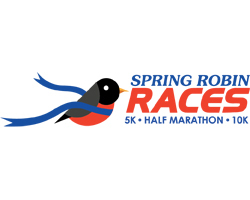 Top - Finish line image provided by Michiana Timing.